Banana breads are quite simple to make. More importantly, there are several variation that you can make. I already talked about plain banana cake and a chocolate chip banana cake. 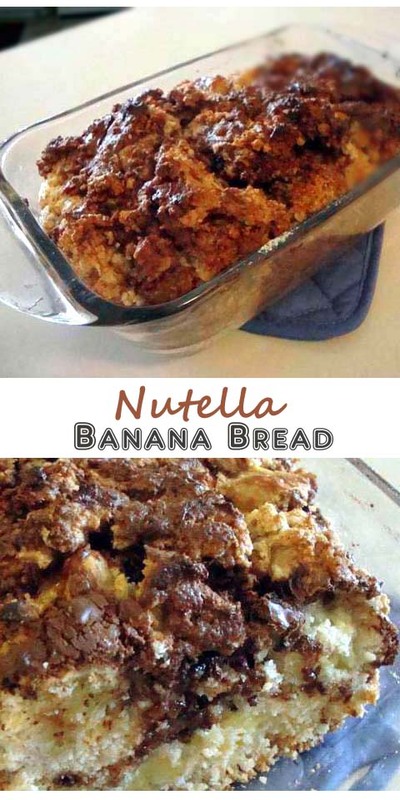 Here's another delish, a Nutella banana cake. 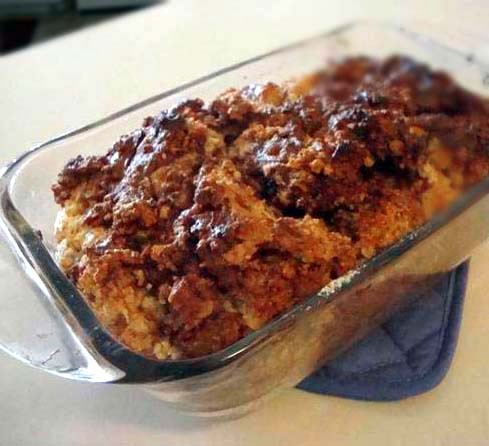 In a big bowl, mix flour, sugar, brown sugar, baking powder, salt, cinnamon, and chopped nuts. Chop bananas into small pieces and add to the bowl. Add vegetable oil, milk, and egg into the bowl. Combine the ingredients into a batter thoroughly using a mixer if necessary. Spoon Nutella onto a microwave-safe bowl then soften the Nutella in a microwave. Use as much as you'll need. I prefer 3 - 5 tablespoonfuls. 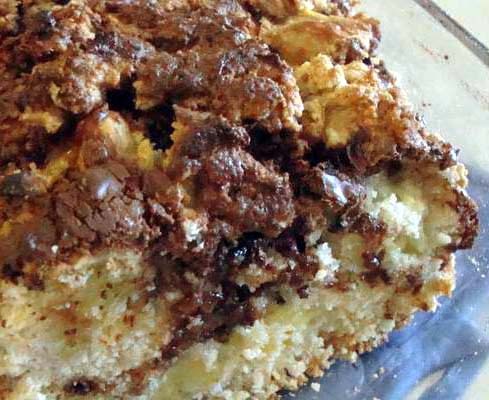 In a greased baking dish, pour a thin layer of bread batter then spoon or pour a layer of Nutella. Alternate the batter and Nutella layer till you run out. Swirl in the Nutella with the spoon if necessary. Bake in the oven for 1 hour. Let cool for 10 minutes before serving. The top layer should be kinda crunchy with the inside soft and gooey. Be sure to have a glass of milk!